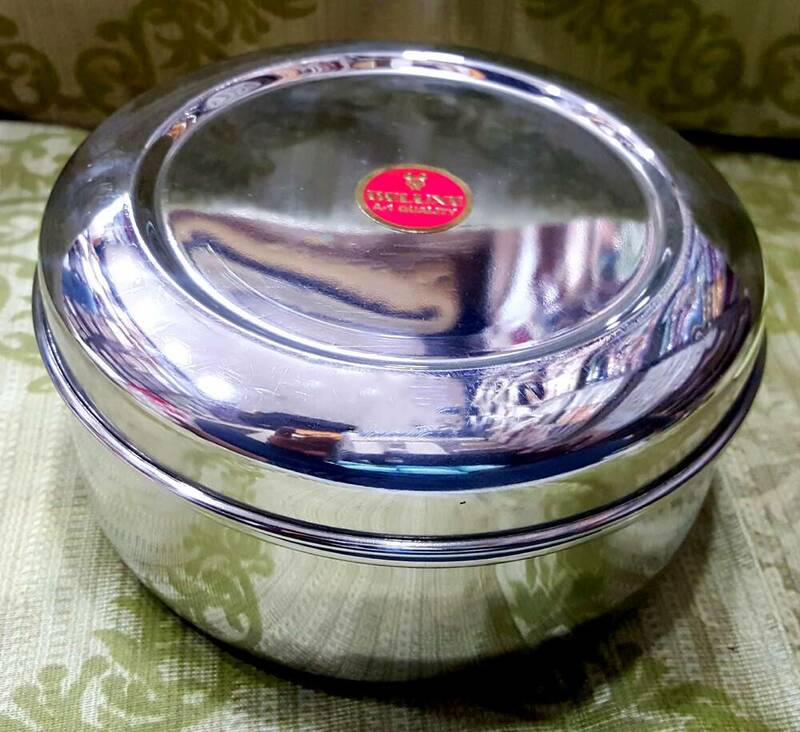 Stainless Steel round Prasadam Lunchbox. Approx. three inches high and five inches across. Perfect for taking a packed maha prasadam lunch with you.